Case study: gitphone, GitHub repository checker for your smartphone. routing, react-router. It works great both on Native and Web. calls to GitHub API. 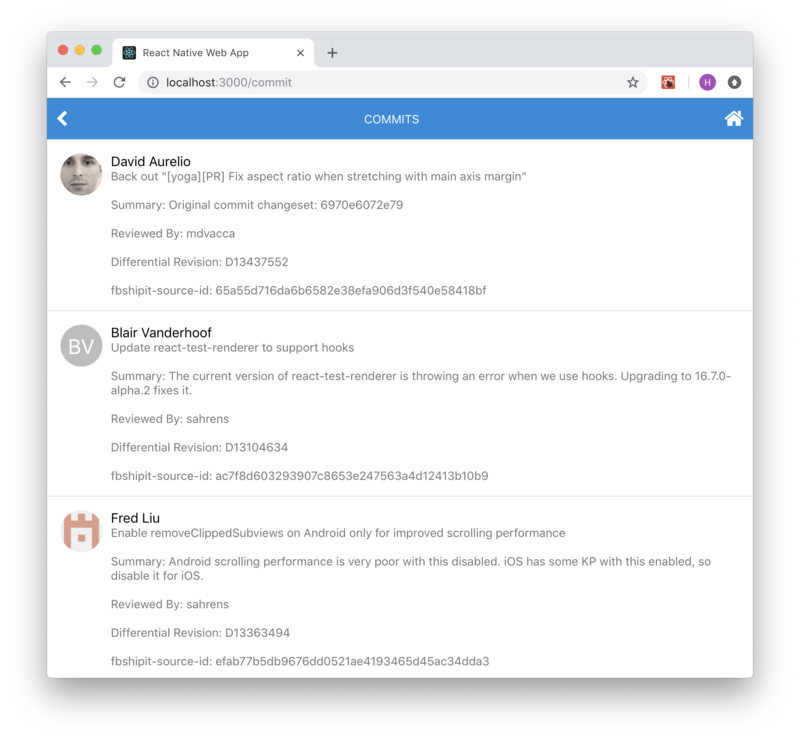 See https://developer.github.com/v3/. ✅ Done! 😁👍 Your project is ready for development. Change to gitphone directory and test the web app by running yarn web. 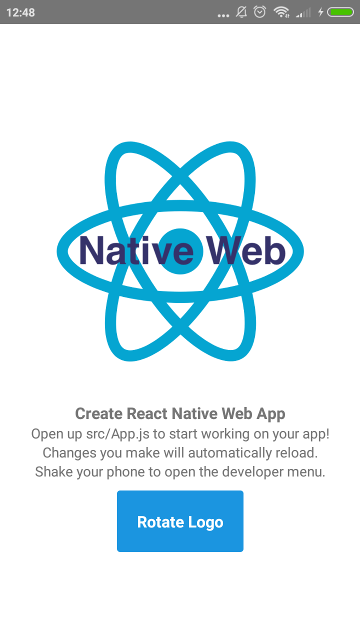 You can now view create-react-native-web-app in the browser. Now, test the gitphone android app by running yarn android. If the build successful, you'll see the app installed on your Android (emulator) device. But if you got an error when run yarn android, please see Troubleshooting section below. The last part for First Step, make sure it can be run on iOS without any problem. Run yarn ios and voila! 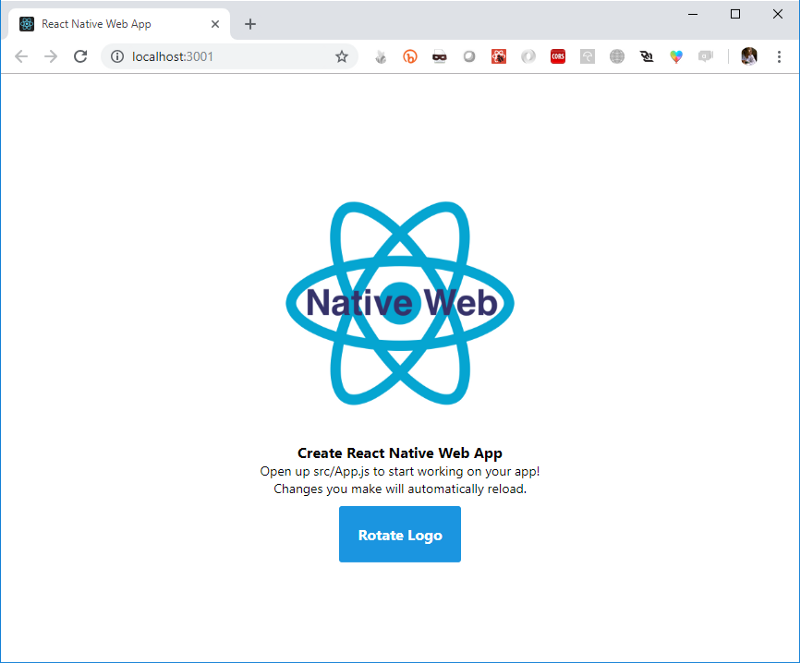 Installing React Native Elements (RNE). 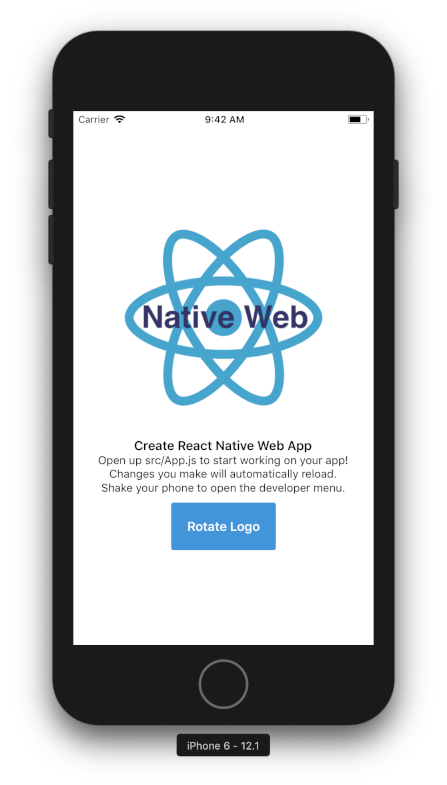 Installing React Native Vector Icons (RNVI). Both RNE and RNVI are written using es6. If you run yarn web at this point, you'll got an error. We need to tell webpack to transpile them. If you get lost, see this gist or commit 8c0e603. Now, let's grasp the idea how RNE works. Note: If you got an error Could not find com.android.tools.build.appt2 when running yarn android, add google on the gradle repositories. See this gist or commit for the details: a2ebba1. Our first component will be Home. On this component, there are two input fields and one Submit button. You should notice that our Home doesn’t look good in term of UI. Let’s add styling for it. Looks better now*, commit for adding Home component: 2e510c4. Wait a minute… *Seems there is a problem with RNVI on the web version. You can check this Web (with webpack) article or just following steps bellow. Next, let’s add second component: CommitList. On our app, user goes to second screen by click on Submit button. How do we implement it? Web needs BrowserRouter while native NativeRouter. We need to separate it based on the platform. Test it on web and android, you should be able to go back and forth between screens using Submit and pressing Back button. We will create a withHeader HOC. Why HOC? We can reuse it easier if we add more screens later. Let’s fetch a real-live data: list commit on repository by GitHub and render it on our second screen, CommitList. Ideally, the :owner and :repo are form values from our first screen. Since the objective of this article is RNE x RNW, talk about that form (and state-management) later on. To fetch GitHub API, we will use fetch-hoc package and also need compose from redux, to handle multiple HOCs on the same component. Now run yarn web, open network tab of DevTools and click Submit button, you’ll see bunch of commit data. By default GitHub API returning 30 commits. Our app looks great so far. But we are not passing values from first to second screen. Let’s do it. Form submission: done 👌 Next question: How do we pass these values to second screen? Send them when we redirect to second screen! Inside onPressButton method, send an object instead of pathname only. HOC’s order does matter. So, make sure it the same as snippet above. In case you lost, here is the commit: 1d83c5e. fetch-hoc returns an error if it has. Let’s use it. Test it. Instead of red or blank screen, now Error: Not Found displayed. Not all of author have avatar_url. We should do this for the Avatar source. So, our app renders nothing if it has no url? It doesn’t look good. Solution: render author initial name. Commit for Polishing the app section: 943974b. Why no love for regex? Thanks to Sanoor. If you go back from Commits screen, input form on Home screen are empty. If you want preserve previous values, this can be fixed easily by introducing redux to the app. References here: 48108dd. Can we fetch more commits data once we reach the most bottom of the list? Infinite scroll? For web, we can use react-visibility-sensor. Check it out: 6c1f689. For native, it’s easier. We can use FlatList onEndReached props. To give you an idea how, see this: 9d2e1f2. Execution failed for task ':app:compileDebugAidl'. Open android project under gitphone. Click Update on this prompt. Wait for Android Studio syncing the project. It synced successfully with two errors. At this stage, just click Update Build Tools version and sync project on the sync window. To fix that, open app/build.gradle file, change dependencies section (line 139) to use implementation instead of compile. 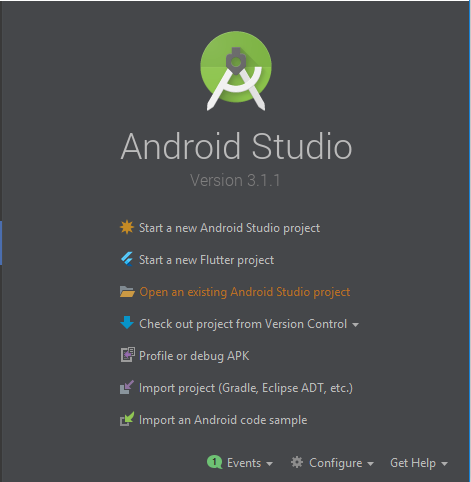 Sync it again and close Android Studio. Troubleshooting for android is done. Now, you should be able to run yarn android successfully. Troubleshooting for iOS is done. Now, you should be able to run yarn ios successfully.